NOSE: Oak-spiced cherry and dark berries on the nose. PALATE: Fleshy and sweet, with good focus and back-end warmth. Pliant tannins build slowly and add shape to the finish, which leaves vanilla and cherry pit behind. WINEMAKING: 23 day maceration and temperature controlled fermentation. Aged for 6 months in French & American oak barrels. COLOR: Deep cherry red, with a purple rim. 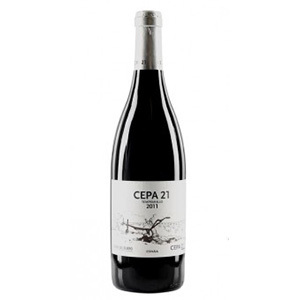 NOSE: Ripe black and red fruits, with licorice and cracked black pepper on the nose. PALATE: Chewy and subtly sweet, with blackcurrant, cherry, and a hint of bitter chocolate. Well structured, with fine-grained tannins and lingering smokiness on the finish. WINEMAKING: 27 day maceration and temperature controlled fermentation, followed by malolactic fermentation in French oak for one month. Aged for 18 months in American oak barrels. NOSE: Ripe dark berries, mocha and toasty oak on the deeply scented nose. PALATE: Sweet and expansive flavors of cassis, bitter chocolate, and vanilla. Broad, lush and full, yet energetic with harmonious acidity, smooth tannins, and a long finish. WINEMAKING: 27 day maceration and temperature controlled fermentation, followed by malolactic fermentation in French oak for one month. Aged for an additional 25 months in French oak barrels. NOSE: Dark berry and floral aromas, with black pepper and woodsmoke nuances. PALATE: Juicy and appealingly sweet, with blueberry, raspberry, strawberry, and candied licorice flavors. Fleshy with sweet tannins that give volume, and a lengthy finish. WINEMAKING: Aged for 8 months in American oak barrels. NOSE: A mixture of sweet spices, sawdust, smoke, dark chocolate, roasted coffee, and well integrated oak notes. PALATE: Rich and opulent, well structured with dusty tannin, smoke, dark berry flavors, and an elegant finish. WINEMAKING: Aged for 14 months in French & American oak barrels. PALATE: Medium-bodied, with dusty tannins, dark fruit flavors, well integrated oak notes, and a bold yet elegant finish. WINEMAKING: Fermented in stainless steel vats with indigenous yeasts and skin contact for 18 days, followed by malolactic fermentation in French barriques (500 Liters) where the wine then aged for 18 months. NOSE: Cherry, raspberry, red licorice, and a hint of spice on the nose. PALATE: Medium-bodied, with fine tannins, red berry flavors, fresh acidity, and a pleasant finish. WINEMAKING: Aged for 4 months in French & American oak barrels. COLOR: Intense cherry red color. NOSE: Aromas of cola, baking spices, blackberry, and peppery notes. PALATE: Well-balanced, with toasty oak flavors, exotic spice, plum, vanilla, cassis, and slight mint notes. WINEMAKING: Fermented in stainless steel vats with indigenous yeasts and skin contact for 15 days. Aged for 12 months in French & American oak barrels.